I haven’t posted in quite a while! Hope all is well with you. I took a picture of this cross I sent to a friend as a gift, and when I saw the topic of the Photo Challenge this week was color, this idea for a post came to mind. It’s a reminder that no matter how alone we seem, God is always near to those who seek Him. 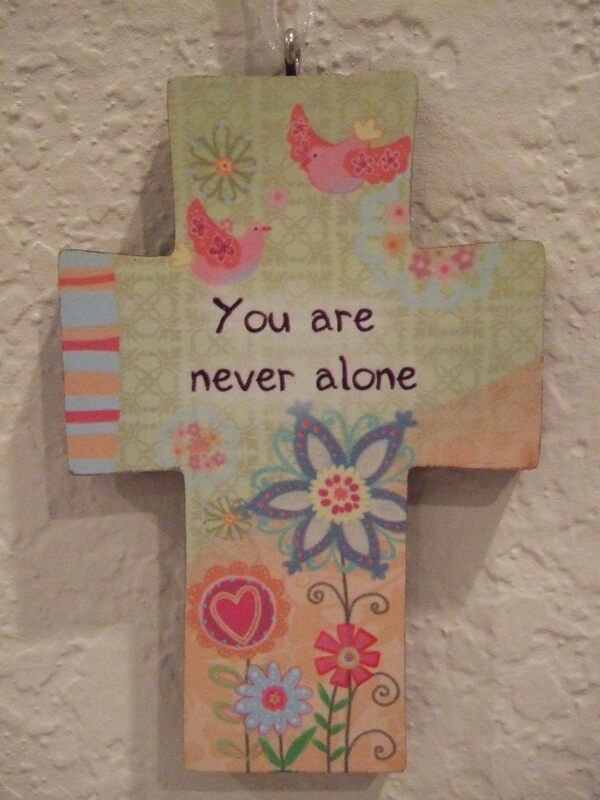 This entry was posted in Bible Passages, Photos and tagged Christian devotional, christianity, comforting Bible verses, cross, hope, photo, postaday, Weekly Photo Challenge.